Quality care is our mission. 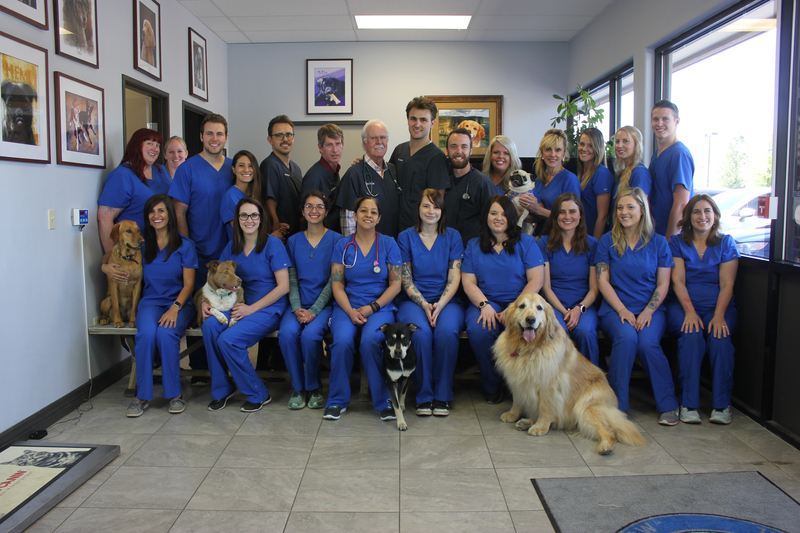 Founded in 1996 by Dr. Anthony Henderson DVM, Fox Hollow Animal Hospital provides a full range of veterinary services to the greater Denver area, including Lakewood, Littleton, Morrison, and Arvada. Upon opening Dr. Henderson quickly assembled a veterinary healthcare team committed to providing exceptional client service and veterinary healthcare in Lakewood, CO.
Every year our animal hospital is expanding, adding more services and the latest equipment to better serve our patients. Our Lakewood animal hospital provides annual preventative wellness exams and vaccinations, but also offer services such as soft tissue and orthopedic surgery, ultrasound, CO2 (or surgical) laser, digital radiology, therapeutic laser and a full pharmacy. We recognize your pet as being an important member of your family. Without exception, our veterinarians, technicians, and client care staff are here for one reason: We love animals and those who love them. Our mission is to provide the highest quality medical care and services to our patients and to always treat them as though they were our own. Our clients and patients are the heart of our practice and we are committed to constantly learning and improving our services for them every day.